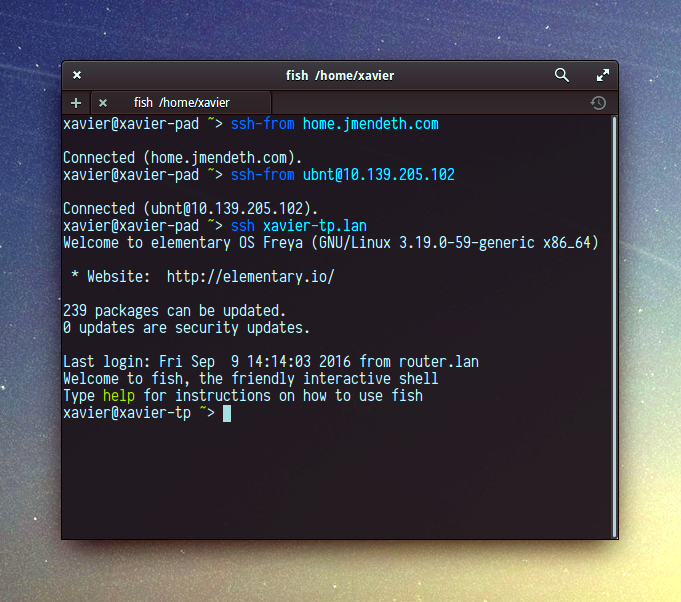 ssh-from simplifies common usage of SSH tunnels, and makes double (or triple) tunnels a piece of cake. Details coming to the blog soon. I highly recommend you install this helper program as well. else: print "SSH proxy terminated."